The Warren Report's own Warren Etheridge, hosts a special screening of Inlaws & Outlaws at Central Cinema, Tuesday, June 16 at 7 pm. The screening kicks of three days of screenings at the Cinema to mark Pride month in Seattle. Director Drew Emery will be on hand for a post-film discussion with Seattle's biggest movie fan. Never been to this local treasure? You're in for a treat! 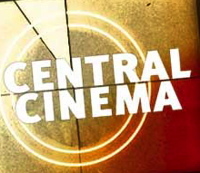 Located in the Central District at 21st and Union, Central Cinema is Seattle's only pizza & beer movie theater. It's a great place to see your favorite movies how they were meant to be seen, on a big screen, with big sound, in a room full of people. And with tickets at just $6, you're supporting a local indie institution without breaking the bank at the megaplex. *Warren Report Special Screening, all welcome!